1) The truck driver may be blamed for the accident. Although truck drivers get extensive training and must pass strict driving tests to get their commercial licenses, they can still be blamed for causing a collision. The finger-pointing that can happen following a traffic accident in Hollywood or another community can delay compensation and can mean that the true liable parties are not uncovered. In turn, this can mean that those who are injured do not get the compensation they may be entitled to. 2) Insurance providers may deny or devalue the claim. In late 2014, workers’ compensation rules made then news when a truck driver was denied workers’ compensation benefits after it was found that he had previous injuries related to an earlier collision in another state. Insurance companies will sometimes try to devalue or deny a claim by alleging that injuries were part of a pre-existing condition or by claiming that a driver is not eligible for benefits. In these situations, it is important for the driver to work with an experienced personal injury attorney to protect their interests. A skilled attorney will have knowledge of insurance law and may be able to help the driver get the benefits they are entitled to. 3) Benefits may not cover the full costs of an injury. Even if a driver is offered workers’ compensation and other benefits, this compensation may not cover the full costs of an injury. 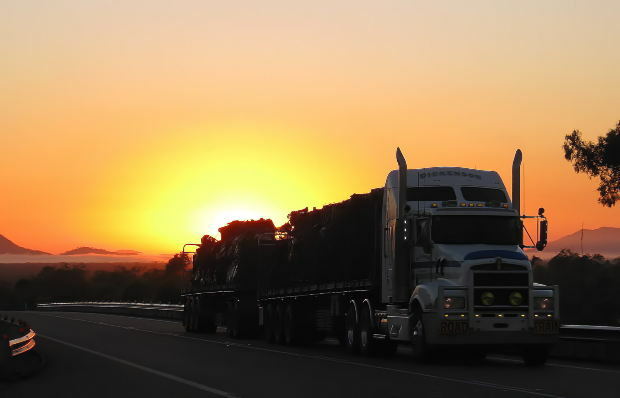 Due to the size of big rigs and tractor trailers, these vehicles tend to exert a lot of force in a crash, leading to permanent and catastrophic injuries. A driver who has been injured in a crash may face a lifetime of increased medical expenses, costly surgery, rehabilitation, care costs, and more. A driver may not be able to work after their collision, and this will mean they will need to replace their source of income. It is important for drivers to seek fair compensation so that they can pay for these costs. A personal injury attorney can help by exploring options beyond insurance and workers’ compensation. In some cases, the driver may have a legal claim that lets them seek fairer benefits or compensation. If you are a truck driver and have been injured in a trucking collision, you can always contact Flaxman Law Group for a free case review. The attorneys at our law firm have more than six decades of experience helping personal injury, workplace injury, and truck accident plaintiffs. If you have been injured, you can get a fair and thorough free assessment with us so that you know what next steps to take to protect your rights.